To meet its ambitious renewable energy goals, California needs to make its energy system more flexible. In a previous article, we touched on how this can be accomplished through a combination of regional markets and smart management of our distribution grids. The key question is how to strike the right balance of regional integration with distribution management, while maintaining the state’s control and supporting renewable energy. The combination of an expanded Energy Imbalance Market and distribution system operators is a lower-risk approach than jumping into a fully integrated regional transmission organization — which could give greater influence over our energy markets to interests that may be unfriendly to California’s renewable energy goals — and driving increasing costs by over-expanding interstate transmission infrastructure. The first step in getting the system right is to address transmission cost allocation. We must fix the serious market distortions in California’s energy markets stemming from the Transmission Access Charge that promote excessive transmission spending, before making the problem even more intractable by spreading it across an entire region. California has already seen the difficulties of reining in out-of-control transmission costs for even a forward-thinking agency such as the California Independent System Operator (CAISO), and this would get worse with a larger, less accountable organization. Despite transmission costs that will likely surpass generation costs within a decade, CAISO has struggled to remove the distortions that penalize those load-serving entities and utility distribution companies that mitigate their impacts on the transmission system with distributed energy resources. If a renewables-supportive CAISO is slow to develop a market-neutral Transmission Access Charge to unleash local renewables, imagine the challenges California ratepayers would face with a regional transmission organization (RTO) spanning states with far less advanced distribution energy sectors. Second, our existing regional markets should be expanded to provide the regional integration that is likely needed to integrate renewable energy and provide wider opportunities for California’s renewable energy. Recent analyses confirm that an expanded Energy Imbalance Market and sophisticated distribution management together can achieve the flexibility California needs. For example, a 2015 study by the Union of Concerned Scientists suggests that 9 gigawatts of non-generation flexibility from all sources will be enough to eliminate the need for curtailment of solar resources. Similarly, a 2016 study by CAISO demonstrates that alternative approaches, such as expanding the existing Energy Imbalance Market (EIM) or deploying significant energy storage, will provide comparable benefits to an RTO. An expanded EIM, coupled with more effective management of the distribution system, will achieve most of the benefits of an RTO, with real flexibility of generation, dispatch and load to integrate renewable energy, as we emphasized previously. In that role, the EIM has already been highly successful in addressing short-term energy imbalances, and the addition of day-ahead and other products can provide the bulk of the potential benefits from regional integration, while opening wider markets to California’s renewable energy. The EIM has been proven to work. In 2017, the EIM provided a small but critical fraction of the state’s overall imports and exports, generating over $30 million in savings, more efficient use of solar energy, and substantial greenhouse gas emission reductions. Expanded day-ahead, longer-term, ancillary services, and other products will allow cost-effective trading with out-of-state resources. By removing barriers to participation, the region’s balancing area authorities can coordinate to facilitate renewable energy integration across western North America. CAISO’s own sensitivity analyses suggest this approach will save as much as a fully integrated RTO-managed market. On the flip side, this approach will also reduce the risks of renewables-unfriendly market rules and much higher transmission costs. There are several downsides to developing an integrated regional transmission organization. First, an RTO would necessarily dilute California’s influence over its own electricity system, potentially opening the door for market rules that would subtly disfavor cost-effective renewables. Although the California legislature can attempt to establish commonsense standards at the launch of an RTO, any RTO board can amend its own bylaws to abolish those standards — with California’s ability to leave the RTO at a later date remaining an unsettled legal question. To illustrate the risk, compare the difference between an expanded Energy Imbalance Market and an integrated RTO to that between a trade agreement and a national merger. Trade agreements can be tailored to suit specific needs and can be revised or ended should they fail or deepened if they prove beneficial. A merger, once done, cannot easily be undone. California is still paying for the last major misguided “deregulation,” which resulted in the Enron scandal and cost the state’s ratepayers around $100 billion. Second, a powerful RTO would likely drive major costs to California ratepayers from excessive transmission expansion for super high voltage technology and associated transmission infrastructure. While an RTO might make regional transmission planning more efficient, it would still look for transmission solutions for any problem. 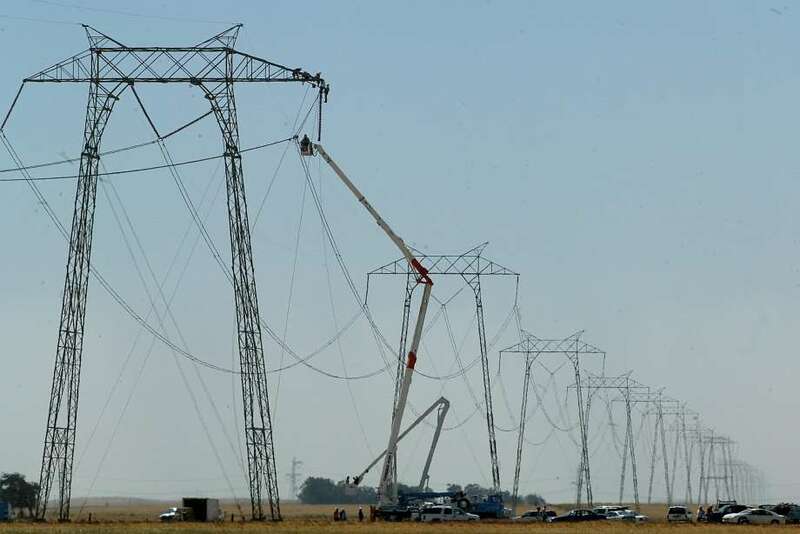 However, each new transmission project locks ratepayers into decades of paying operations and maintenance costs and guaranteed profits that dwarf the initial capital costs, adding up to at least five times the initial investment. This is a significant concern in light of recent integrated resource planning filings suggesting that nearly 80 percent of potential renewable resources outside of California will require some form of new transmission infrastructure. Third, a grid architecture of an expanded EIM coupled with DSOs will be a more cost-effective and efficient approach to non-generation flexibility. Sophisticated distribution-grid management — with new technologies such as fast autonomous demand response, energy storage, local generation, and distribution monitoring, communications and control — will allow shaping of load profiles to make the entire transmission grid easier to manage and more reliable, reducing reliance on distant generation. Furthermore, local renewables and DERs provide an unparalleled level of community resilience. By dealing with the “ducklings” at the distribution level, DSOs will address many issues that gave rise to the drive for an integrated RTO. This combination will give grid managers a wider range of tools for cost-effectively balancing load with generation, as well as voltage and frequency on California’s grid. Such a combined approach will also save ratepayers money, potentially even more than would an expanded RTO-managed market. For example, CAISO’s SB 350 analysis shows that 3,000 megawatts of energy storage can provide half the flexibility savings that an RTO could. By comparison, the state already has some 4.3 gigawatts of storage — roughly 575 megawatts of which is newly added batteries. With energy storage installations ramping up at year-on-year growth rates of over 40 percent or more and 1.35 gigawatts of outstanding energy storage mandates, the market will easily hit that target by 2021. Ultimately, the combination of the Transmission Access Charge fix, an expanded EIM, and DSOs provides an alternative approach to grid flexibility with limited new transmission investment and substantial savings for California ratepayers. This approach also avoids the risks of surrendering California’s governance authority to an entity that may or may not share the state’s vision for a renewable future that is stacked with DERs. With greater benefits and lower risks, fixing the Transmission Access Charge, and expanding the EIM and distribution management is the better choice for California’s energy future. Expanding the Energy Imbalance Market Is the Right Way to Regionalize California’s Grid, By Doug Karpa And Craig Lewis, Greentech Media, March 13, 2018.